SoftBank Robotics Corp. (“SBR”) is currently involved in the planning and development of “Pepper,” a personal robot with feelings. Developers are essential in popularizing Pepper as part of the society. 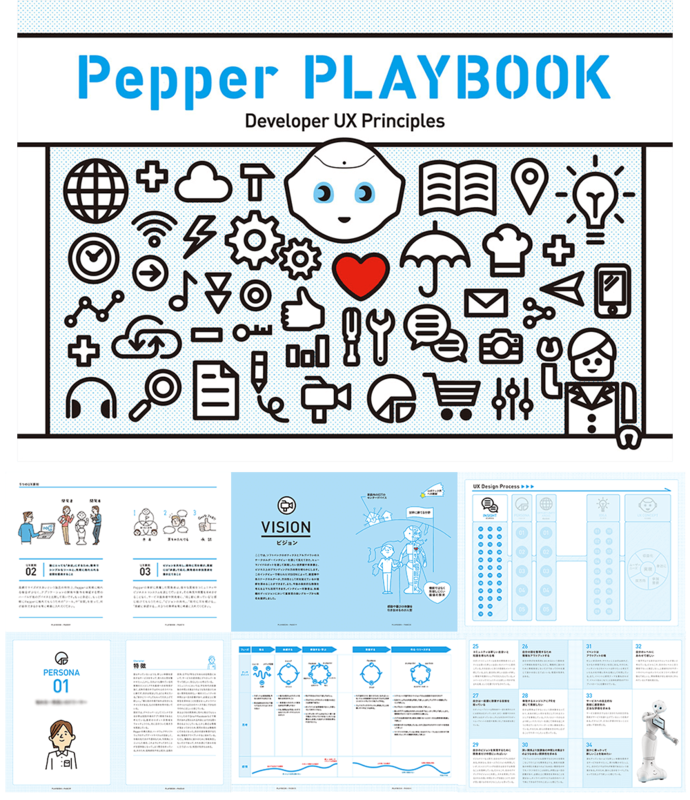 Therefore, SBR has produced a “Pepper Playbook” to improve developer experience in hopes of forming and expanding an ecosystem for developers for the robot platform. Using “service design” methods, We have defined five principles that will act as guidelines for our developers from now. We looked back on the process until the creation of the Playbook with the project members. ──Firstly, tell us about the background behind this project. Mr.Nawata(SBR)　In SoftBank’s management vision, called the 30-year vision, one of the things we aim for is creating a society where people coexist with kind and intelligent robots. Pepper is a platform created based on this vision. However, just having a platform is pointless. How to make the attractive apps that go onto this platform is important. For this, we needed to create and expand a developer ecosystem for this robot platform. 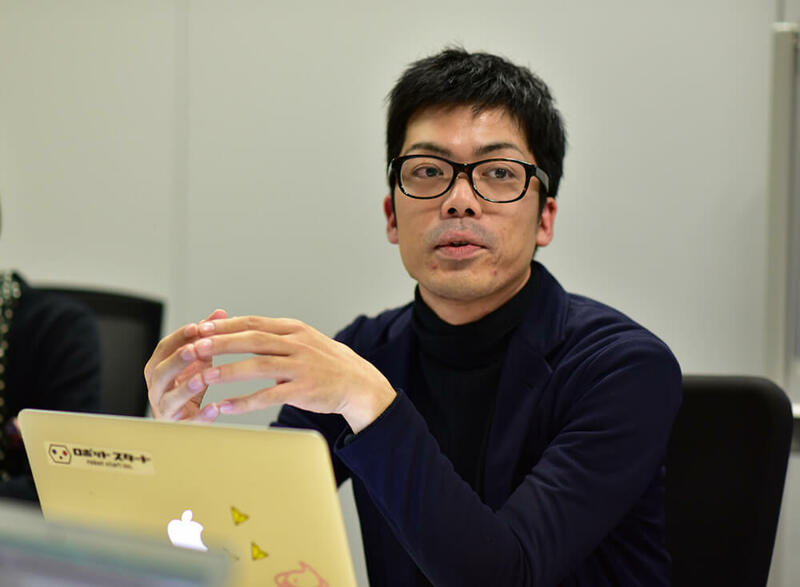 Mr.Shoji Nawata, (Formerly) Consumer & Developer Projects, Business Development Department, Business Promotion Head Division, Softbank Robotics Corp. So, it started with the “Pepper Tech Festival” in September 2014. 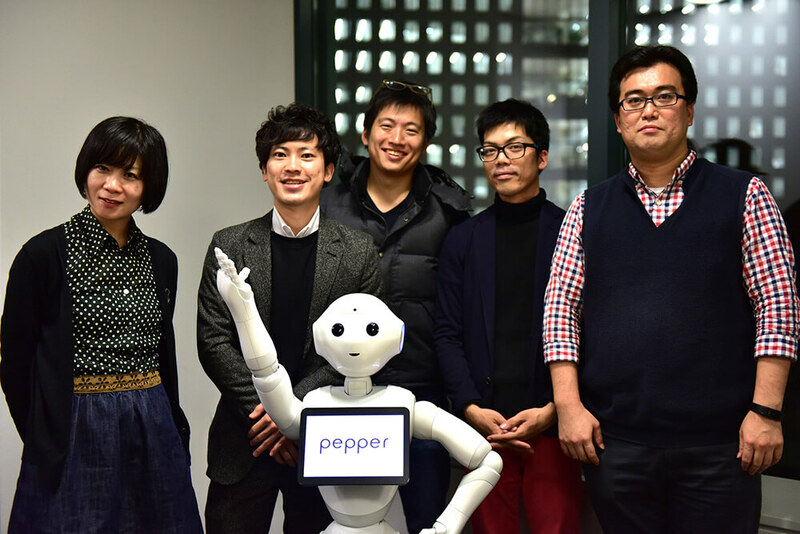 Immediately after that, we opened the “Aldebaran Atelier Akihabara”, a space to try out Pepper’s robot apps. Besides being a community for developers, it is a place for developers to continuously learn, level up their skills, and to create new things. Both events attracted a lot of attention, and I would say we got off on a good start. However, there were also challenges. One of them was to make the robot business platform global. Another important point was the need to not just come up with new technologies strictly among developers, but to build apps that the general public needs in order to make Pepper become more popular in society. Having just the internal resources was not enough to meet these challenges. Furthermore, up until now we have had a bottom-up approach when thinking about how to liven up the community of developers, so we lacked the perspectives of thinking about what kind of message we want to send to the world and how to systematically form an ecosystem. We searched for a partner to collaborate with us on this, and Loftwork was the company that came up with the solutions we were looking for. Kawana(Loftwork, hereinafter, “LW”)　There are many players involved in a business platform: Service providers, robot developers, end consumers, app developers, etc. We proposed solutions by thinking about ways to improve the experience of each of these players. We thought that by increasing the number of self-improving players, we will be able to succeed as a platform business. Normally, the consumer should be defined first. People usually do not come up with BtoD strategies when the target market is still unclear. This time, because a company with a strong global position such as SoftBank led the project, we succeeded in creating a message about this “market with enormous potential” to the world. And because we were guaranteed to have users to some extent, it became an incentive for the developers. With this supposition, we decided to start from defining the BtoD* user experience (hereinafter, ‘”UX”). ──How did you carry out the project? Nishimoto(LW)　We carried out the project using a process based on user-centric design thinking. In order to broaden our horizons from our “ateliers,” which are existing places to experience app development, we also conducted interviews with people who have yet to join the community. After gaining their insights, we created the personas and customer journey maps (“CJM”). Based on what we took away, we wrote down the principles for improving developer experience (5 principles of UX). Mr.Nawata(SBR)　In the beginning, we planned to establish a web platform as a global web integration project, but hit by the twists and turns that are unique to new projects, we were forced to change our goals along the way. We eventually settled on pulling together the UX fundamental rules. In addition to Loftwork’s great expertise and know-how in creating UX guidelines, we also shed light on a wealth of new facts through conducting the ateliers so the process was incredibly smooth. Nishimoto(LW)　Yes, I agree that the ateliers were a strong foothold that led to the smooth facilitation of the interviews. Because we had already established a friendship with the people there, they introduced interview respondents to us, and FabCafe, a cafe run by our company, was also a link to developers who were not part of the atelier. In this way, we were able to expand the range of our interview subjects. Thanks to the high precision when choosing interview subjects, we were able to extract much information from the interviews, leading to improved quality of the personas and CJM. MR.Kanayama(SBR)　We were able to see the developers through the existing community and we shared these information among our company members. This way, we were able to select the right technical people. For example, even during the process of making the personas, we knew that we would be able to obtain some valuable output if we interviewed some specific developers. 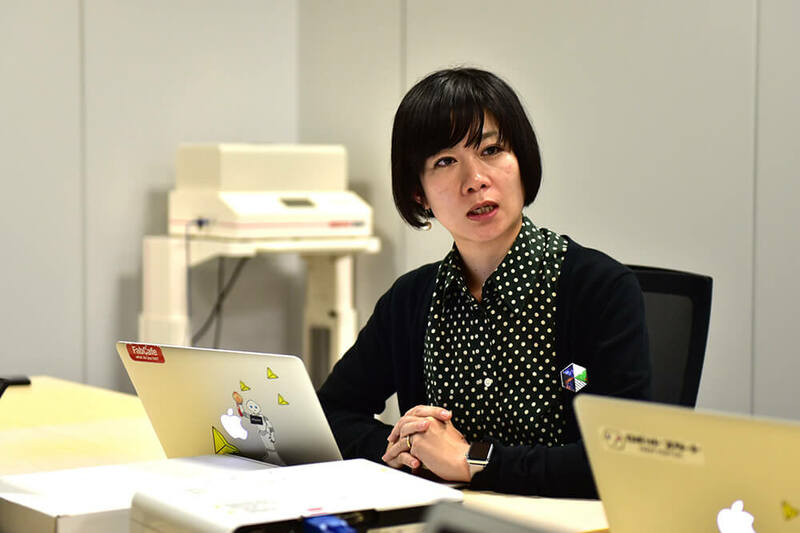 Ishikawa(LW)　We interviewed 15 people from three different groups: Developers who have not seen or used Pepper, Pepper developers who occasionally participate in ateliers, and lastly, developers who want to use Pepper to express something. Not only was the recruiting system smooth, because we were able to set the precise criteria for interviewees, we managed to get a lot of meaningful feedback out of the interviews. The interview times for each person were about two hours per person. Verbalizing the concept of "UX Principles"
──Did you notice or discover anything notable when organizing the developers’ insights? Mr.Kanayama(SBR)　A startling discovery was the impression that by speaking face-to-face, things that were hazy became very clear. Mr.Nawata(SBR)　Yes. I was reminded that opportunities for developers to receive compensation, in other words, for them to monetize their activities are extremely important. An ecosystem is mutually beneficial. Monetizing opportunities for developers are essential in order to expand the ecosystem itself while maintaining the diversity of the community. There is also the idea of creating something interesting without thinking about the developers’ benefits, but if we don’t come up with a system where developers can gain their compensation, it is impossible for us to continuously raise our revenue. Nishimoto(LW)　What I took away from talking to various developers is that I was reminded of the necessity to convey the level of our commitment to the developers when conducting a BtoD project. If the operating company is not committed, I think it will be difficult to assemble a team of committed developers. 石川　I agree. If we don’t lay out the benefits that for the developers according to the level of commitment, it is difficult to get people to continue participating. This is what is challenging about making a community of developers. ──Using the insights as a starting point, what five principles of UX did you write down specifically? Nishimoto(LW)　From the insights from the interview results, we set five personas, and along with that we defined the things (range of opportunities) to focus on in order to improve customer experience. Based on that, we invited staff members of Aldebaran Robotics from France to come to Japan and ran workshops to come up with new ideas for enhancing customer experience. After that, we made the characteristic moments of these ideas into keywords and we wrote down the five principles after abstracting the keywords. Designing new businesses and events based on these five principles will be our style from now on. Mr.Nawata(SBR)　The ability to pen down these principles into words has been one of the biggest output of this project. We were able to grasp the idea vaguely somehow, and I felt that half of the project was already completed, but if the project were not expressed in words, it would not only be difficult to explain to our company stakeholders but it would also be hard to advance the project when we expand it globally as a business. For example, when considering web design, we would easily be affected by our preferences, moods, and the trends. We must firmly determine footholds, share it with the organization or the team and gain their confidence, and it is after that that we should move forward with actual projects. I think we were able to establish a bridgehead in order to achieve this process through this project. ──How do you feel after the completion of the Pepper Playbook? Mr.Kanayama(SBR)　We are still not at the stage where concrete output has been generated by following the PlayBook so I can’t say anything yet about how it has functioned, but I think it added great value to the process itself. It has been four years since the Pepper project started. This is the first time we have worked at such a full scale. We summarized the sentiments and visions the company stakeholders of different standpoints have for Pepper and this project and we clarified the direction of Pepper’s platform business and developer projects. 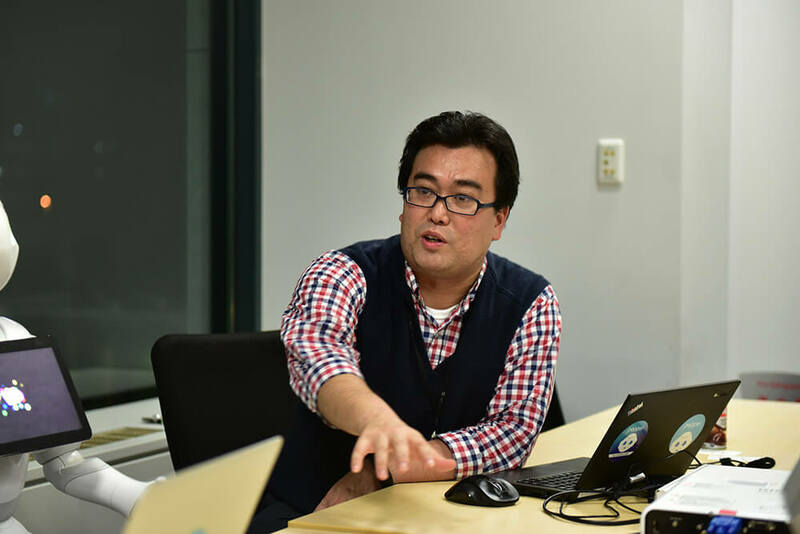 Mr.Daiki Kanayama, (Formerly) Consumer & Developer Projects, Business Development Department, Business Promotion Division, SoftBank Robotics Corp.
Kawana(LW)　Without merging the developers’ insights with the insights of platform providers, the mold just won’t fit right and it won’t go successfully. 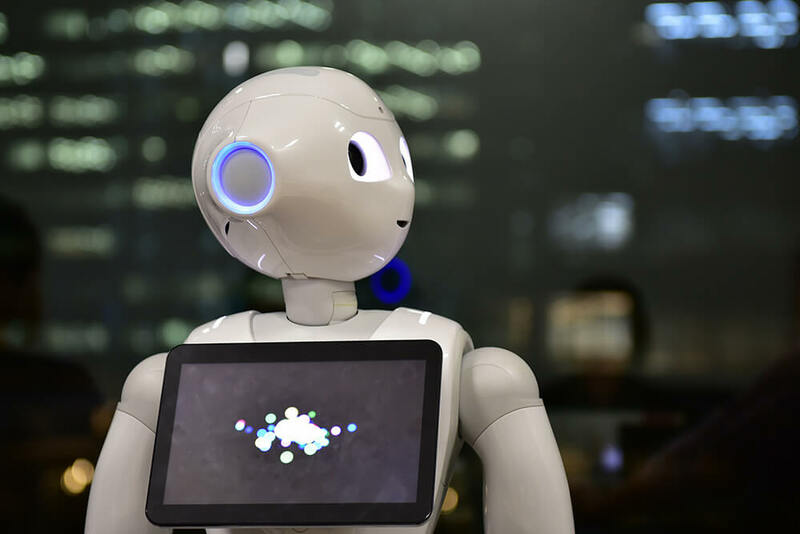 In that sense, the workshops jointly conducted by SoftBank Robotics and Aldebaran Robotics and the clarification of Pepper’s business directions were incredibly good for us for driving future businesses. ──Please tell us about your future prospects. 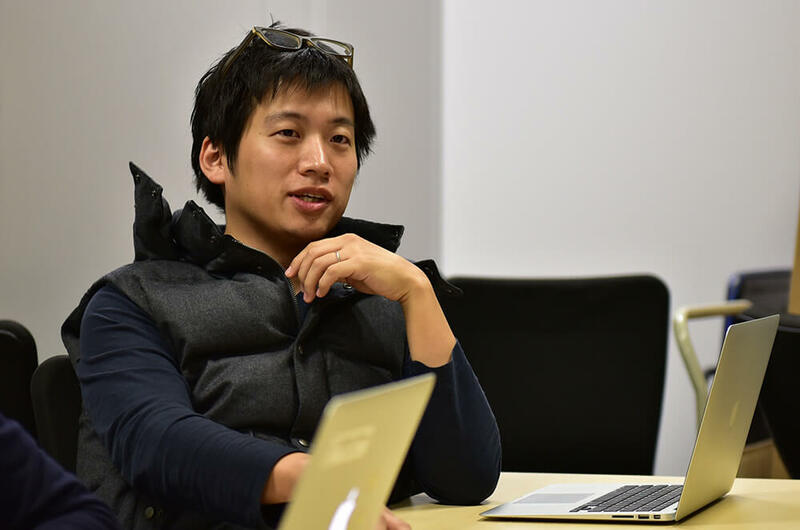 Mr.Kanayama(SBR)　As we finally have the ideas for specific measures, I want to put them into action one by one by getting the ball rolling with the things that we can already work on. Mr.Nawata(SBR)　On the other hand, if the goal of the company were to generate revenue, the challenge is to explain the merits gained from the community and how it can lead to business opportunities to the company. Instead of making a business out of the community, we need to think about how the developers can earn money for themselves. If they earn revenue, as a result, Pepper will become a big seller and there will be more opportunities for people to use Pepper. 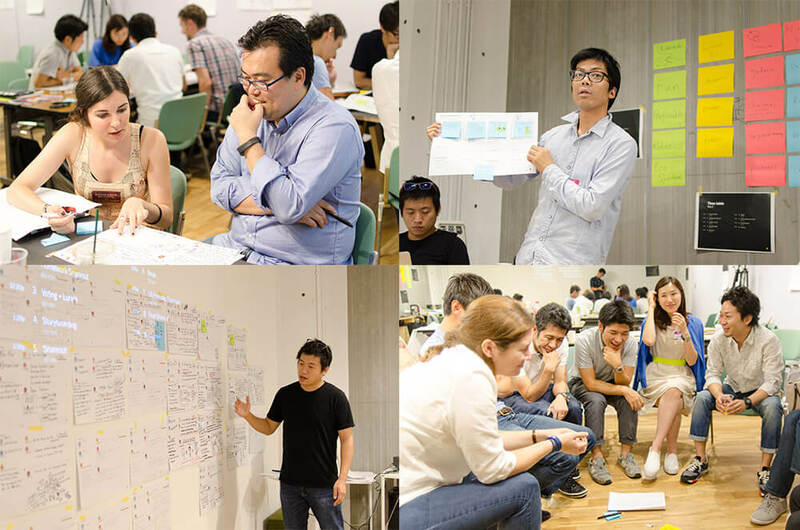 I think the workshop, interview output, and the five principles of UX this time were able to express the idea that could be a “seed” to refine developer strategies in this direction for the future. Kawana(LW)　If BtoC stopped, BtoD would not prosper, and if BtoB stopped, there would be neither BtoC nor BtoD. It looks like how to work an actual ecosystem based on the complementary relationships between the B, C, and D will be a big theme from now on. Thank you very much for your time today. 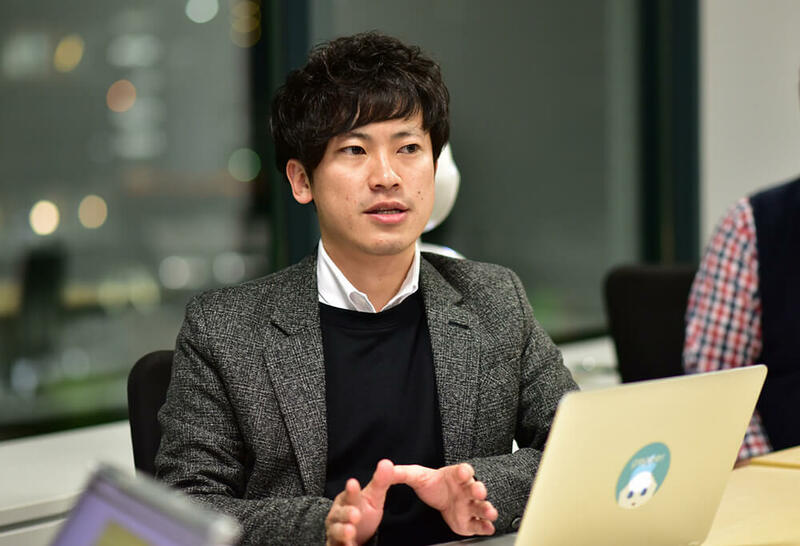 After this interview, business support programs using Pepper and systems that can monetize robot apps were announced for the first time at the [[[「Pepper App Challenge / Pepper Innovation Challenge」]]], an event for developers organized by SoftBank Robotics Corp. in Tokyo. These are things that closely related to the UX5 Principles aimed at improving developer experience, so it looks like consideration for developer measures using lessons learned from this project has already begun.